In Kafka on the Shore reality, mystery and magic merge in one of the finest novels from Japan's leading literary figure. The teenager, Kafka Tamura, goes on the run and holes up in a strange library in a small country town. Concurrently, Nakata, a finder of lost cats, embarks on a puzzling odyssey across Japan. Only gradually do we find how these stories interweave. 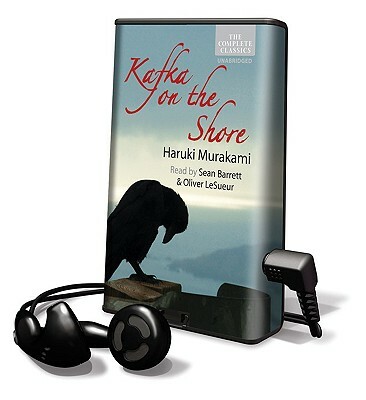 Compelling story-telling drives Kafka on the Shore, but the novel is underpinned by Murakami's sensitive insight into humanity contrasted by a totally credible touch of the fantastical. It is a unique tour de force and particularly vivid in audiobook form.